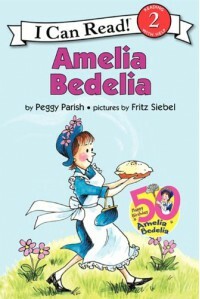 Who doesn't love Amelia Bedelia? She is a great beginning reader series and with her crazy antics, she keeps kids engaged as they are reading. I have seen a few lessons on pinterest where you can use Amelia Bedelia to teach figurative language because she often is confused by idioms and when words have multiple meanings.